One of the great things about homeschooling is the amount of flexibility we have with scheduling field trips and learning adventures. In a typical public school classroom, kids will only take a few field trips over the course of a school year. At the school where I taught kindergarten, we were limited to two field trips, so I had to choose them wisely. As a homeschool family, we are able to expose our children to lots of valuable hands-on learning and educational experiences, both in and out of our typical homeschool day. I love having that flexibility! To make the most out of homeschool field trips, I have a few things I try to remember each school year. 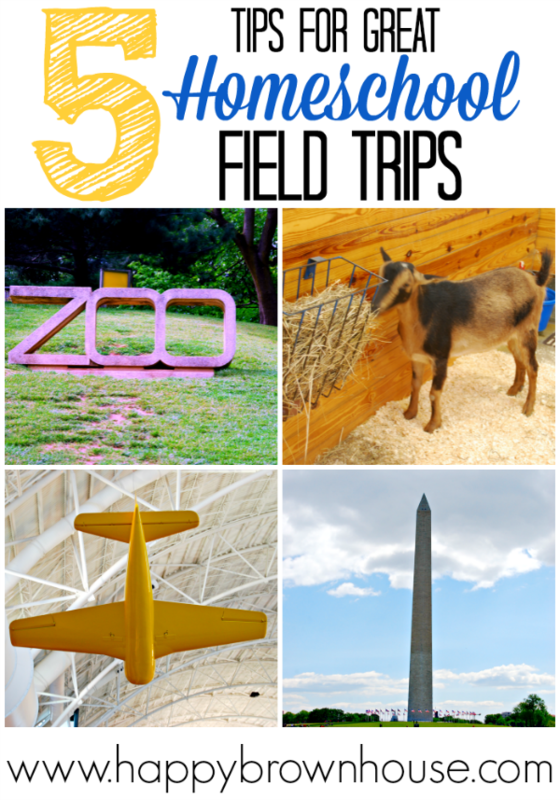 These 5 Tips for Great Homeschool Field Trips make all the difference between just a day out of the house and a fantastic learning adventure. While I love the flexibility of homeschooling, I also know that I need a loose plan of possible field trips. If I don’t have at least a few ideas for the year, I’ll take advantage of one too many pajama school days. At the beginning of the year, look over your curriculum and brainstorm possible field trips that go with what you’ll be covering over the year. Pencil in possible dates and ideas on your planner. Look at local event calendars to see if there are any educational adventures you might not have thought about. While some places are obvious places to go for a field trip, like the zoo or the aquarium, try to stretch your imagination and look for festivals or events at historic sites in the area. One of our favorite field trips so far was to a local farm to learn about making homemade maple syrup. 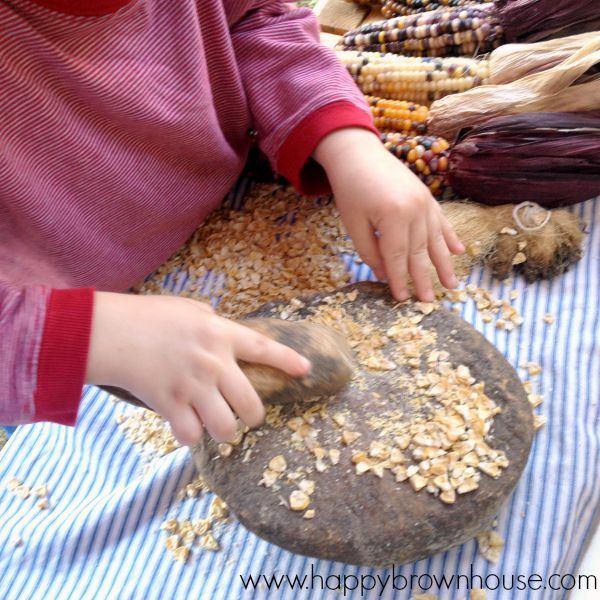 Another time we went to an Indian Pow-wow and the kids got to help grind corn. Some of the best homeschool field trips we’ve taken have been the ones where we’ve asked questions. Usually, the staff or exhibitors are more than willing to answer questions and, if you mention you homeschool, they know you’re interested in learning something more. Sometimes they will go above and beyond. I’ve even been bold enough to ask if there is anything else they could show us–this paid off in a personal tour of a historic cabin that our oldest was fascinated with. I also encourage my kids to come up with a question before our field trip that they hope to learn the answer to. Sometimes these are answered by the trip itself, other times they need to ask it. This engages the kids beforehand and gives them a chance to practice speaking to another adult. You never really know what events will happen until a day unfolds, but it never hurts to be prepared for the unexpected. 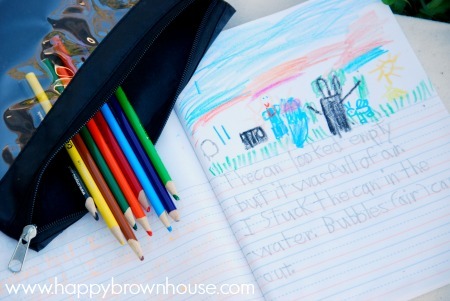 Before I became a homeschool mom, I was a kindergarten teacher. Oh, the stories I have of field trips gone wrong! Once, the entire kindergarten was swarmed by yellow jackets in a field and chased just like Winnie the Pooh. It was awful. And then there was the time a non-English speaking student bumped his head on a cave wall and needed to be evacuated because he was bleeding everywhere. Needless to say, I cringed every time we had a field trip! I learned my lesson the first year to pack a backpack that will help us survive those unexpected things that might pop up. At the minimum, I always make sure I have an old towel, a change of clothes for the kids, and basic first aid items. Obviously, some of the things I pack depend on where we’re going–if we’re going to watch a play, I don’t pack a special bag, but if we are headed to the farm I’ll pack a lot more for my mud magnet boys. The most important item I always pack is my camera to capture those special memories! While taking a field trip is a learning experience in itself, make your field trips work harder for you. Extend the learning experience through creative ideas to record your experience or to make the field trip have a purpose. For example, we recently visited the aquarium with a scavenger hunt page for my oldest. 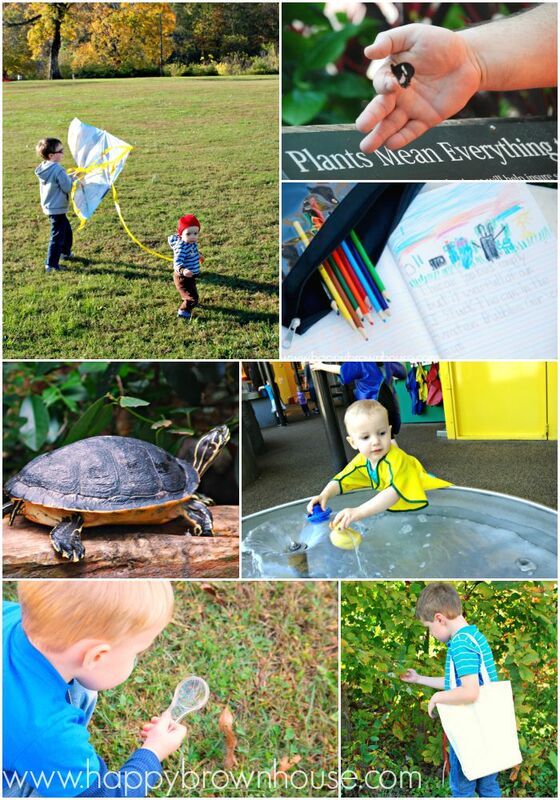 There are so many ways you can extend the learning–scavenger hunts, journaling, graphing, photo books, and more! Get creative and think outside the box. Chances are you’ll hear the famous words “I’m hungry” while you’re out. 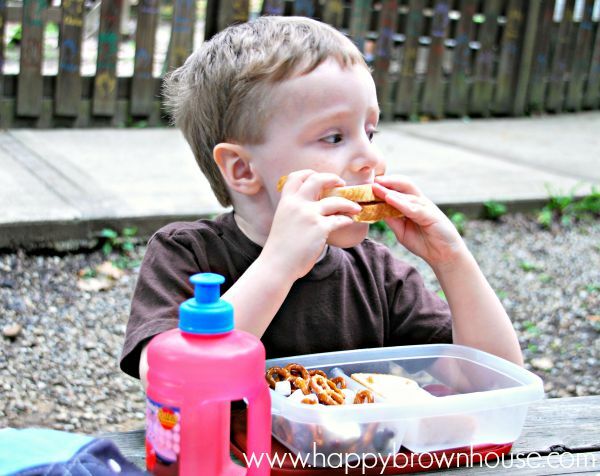 Consider packing a lunch and snacks to save money. Brown-bagging it adds one more step to getting everyone out the door, but it’s worth it to lower the cost of field trip days. I always pack easy, on-the-go snacks and sandwiches. Basically, anything that travels well is an option. The most important thing to remember is to have fun! Whether it’s an afternoon nature walk or a homeschool day at Legoland, savor the moments with your kids. They’re only little once! What tips or tricks do you have for planning great homeschool field trips? Great read! I wish you were in Georgia, we have all sorts of fun homeschool events going on. I am baffled at the homeschool socialization questions. We have more to do than we have time to do it all! Enjoy those little ones, they ARE only young once! I’m just across the TN/Georgia line in Chattanooga.I agree–I have to TURN DOWN play dates so we can get school done! Love this post, especially the bit about extending the learning. We love to journal during and/or after our field trips!